Finally, I found the easiest way to receive money from my Google Adsense payment from Google Inc western union option . In my recent Google adsense payments, I usually received the money through any Western Union branch here in the Philippines. Using your Unionbank EON account, you can now credit your western union money to through Unionbank Western Union Remittance. At first, I was hesitant to do this because there might be extra charges for the process. Before I requested for Unionbank Western Union Remittance to be credited to my Unionbank EON account, I compare first the dollar exchange rate with the nearest Western Unionbranch in my place to the current exchange rate of Unionbank Western Union Remittance. Since the US dollar exchange rate in Unionbank Western Union Remittance is higher, I decided to completely request the credit to my EON account. 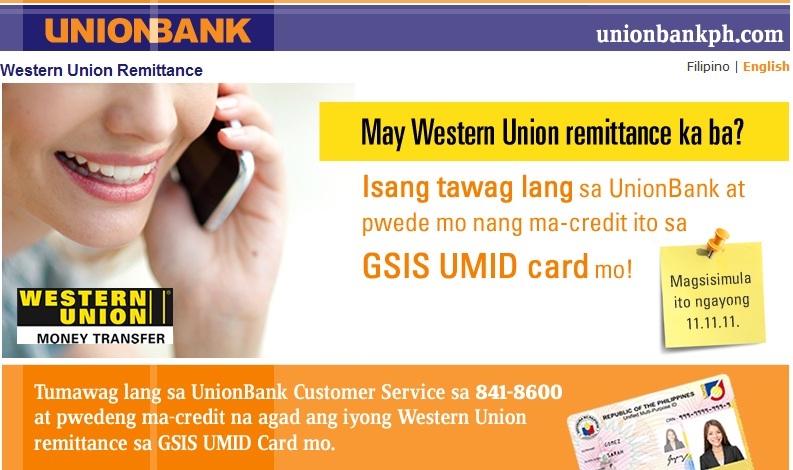 How to do the transfer or credit your Google Adsense payment through Unionbank Western Remittance?